How to transfer Android calendar to iPhone? Home » How to transfer Android calendar to iPhone? 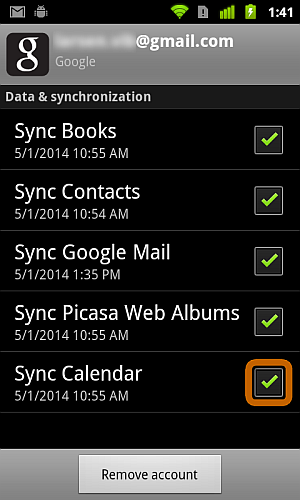 The only universal way to transfer Android calendar to iPhone is via syncing both devices to a Google Calendar account. However, if you’d rather keep your personal calendar data off Google’s servers, and still transfer the calendar, you’d need a PC and CopyTrans Contacts. CopyTrans Contacts allows saving the Android calendar data to the local iPhone memory. The process works with any Android, for example, Samsung Galaxy S8 or HTC One and with any iPhone or iPad including the new iPhone 8, iPhone 8 Plus & iPhone X. Ensure that the Android calendar is currently synced with your Google account. To do so, navigate to your Android phone Home screen. Tap on the “Menu” button found at the front of the phone. Then tap “Settings”. 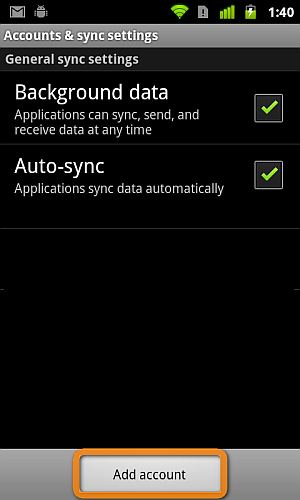 Next tap “Accounts & sync” and select your Google account. NOTE: If you don’t have any account listed, tap “Add account” and follow the process of adding/creating a new Google account. 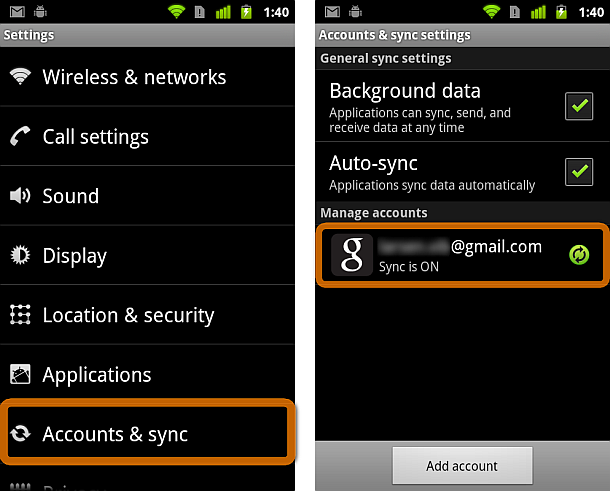 Verify that the “Sync Calendar” option under your Google account is checked. 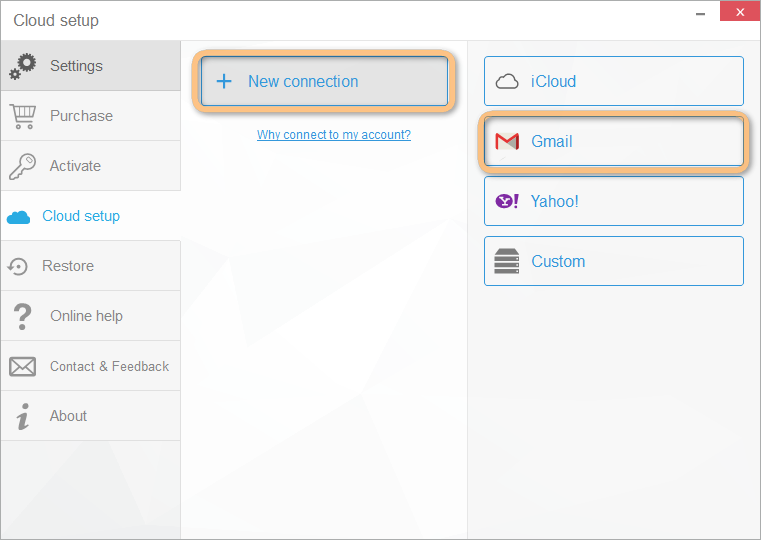 Start CopyTrans Contacts and connect the iPhone, iPad, or iPod Touch. 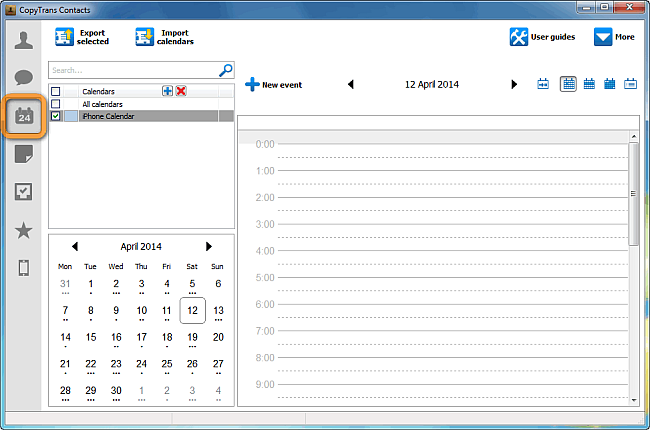 Click on the Calendar icon on the left of the main program window. Your local iPhone calendar will appear. 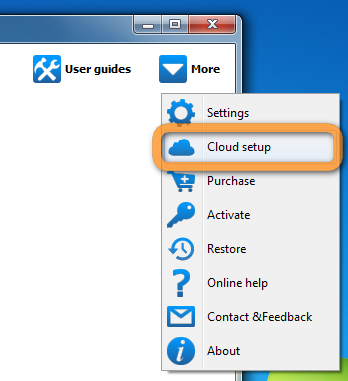 Navigate to More > Cloud setup. Click on the “New connection” button, then click “Gmail”. Enter your Google account credentials, ensure that the box next to “Calendars” is checked, and click “Add account”. NOTE: You can leave the “Server” field blank. 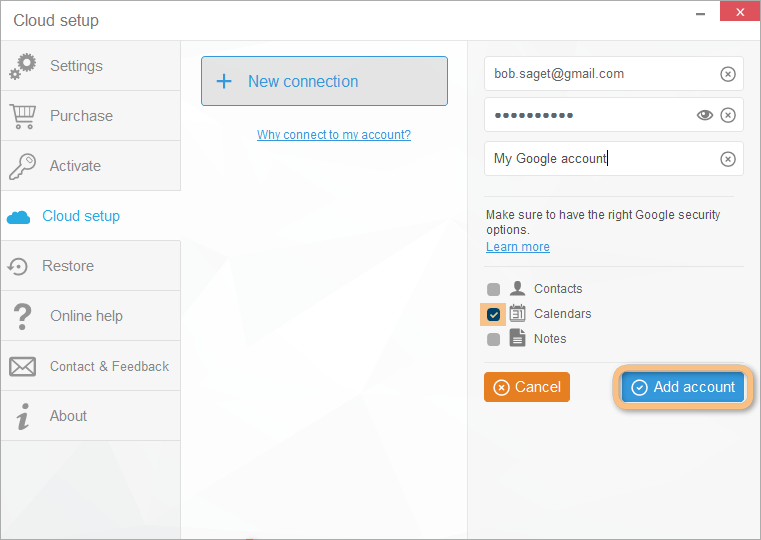 NOTE: If you experience trouble connecting your Gmail account, please read this troubleshooting article on how to connect CopyTrans Contacts to Gmail. Exit from the “Cloud setup” window. 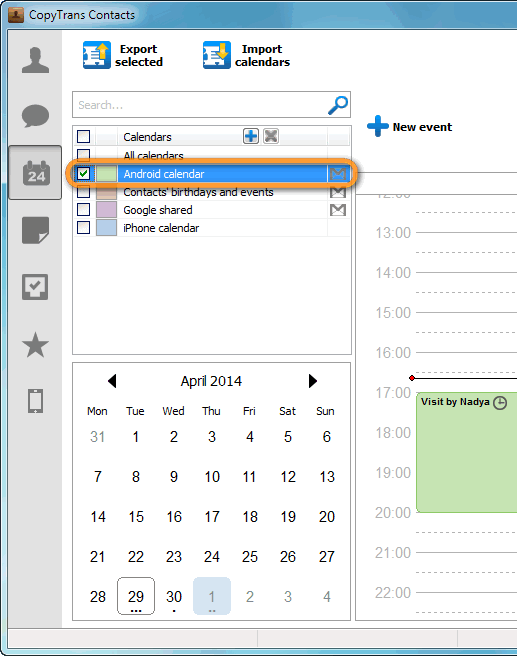 Your Gmail calendar appears under the “Calendars” pane. This is the calendar synced with your Android phone. NOTE: A small Gmail icon appears next to calendars sourced from your Google account. Right-click on the Android calendar and select “Move > Events to…” then click on the calendar associated with your iPhone. NOTE: The process will transfer the Android calendar events to the local iPhone calendar while removing them from Google’s servers. Depending on what you’d like to achieve, you can alternatively use the “Copy” function which will keep the calendar data in your Google account after the transfer. 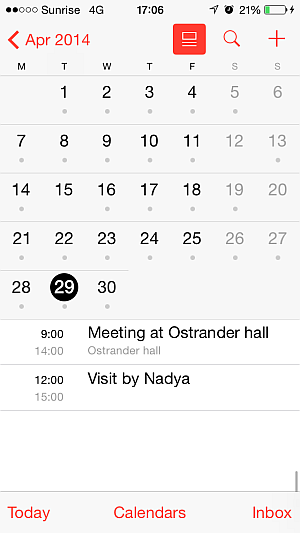 The Android calendar is now transferred to the iPhone. This is it. You have now managed to transfer your Android calendar to iPhone and at the same time and kept your calendar details offline and private.